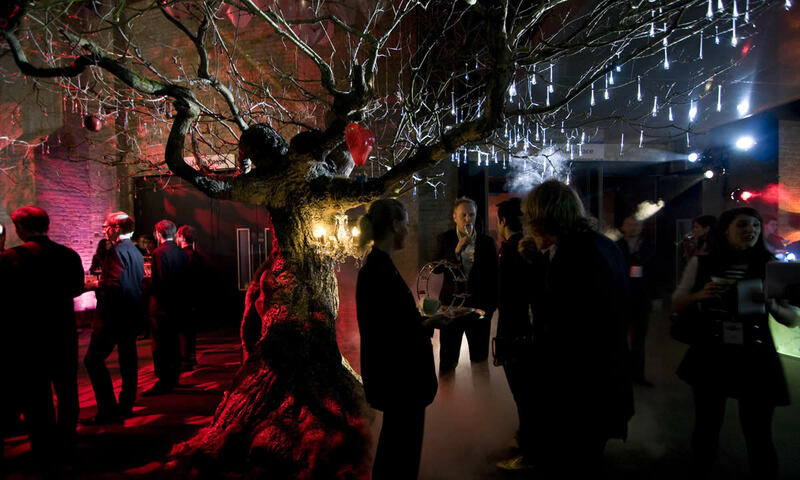 This 15ft tall tree with a span of 20ft was hired for an event at the Roundhouse in London. A key feature of the tree is that the artificial tree trunk is fitted with real branches which can be selected to meet individual requirements. 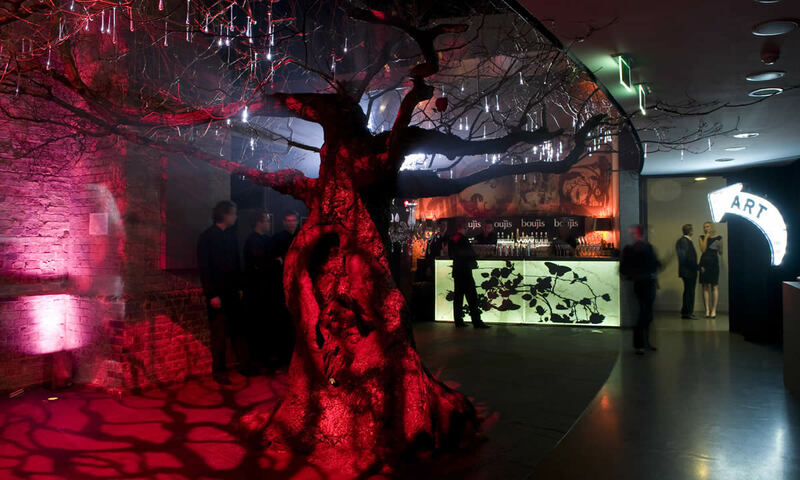 In this case the branches were configured so that they were all above head height, allowing party-goers to walk safely underneath the tree.